June 2017 “Give Back” Referral Rewards – Renton WA | A & M Insurance Services, Inc.
Why now? Children throughout our state begin summer vacation in June. Although children look forward to the fun and freedom that time out of school brings, for a surprising number it also means missing meals. This is very concerning as mild malnutrition during the critical growth periods of childhood can stunt growth and impair brain development. 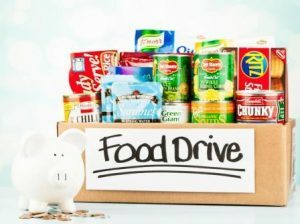 Northwest Harvest can use any nonperishable food or monetary donations. Did you know Northwest Harvest can feed a family of three one nutritious meal for just 67 cents? DONATE here We have set a $ goal of $500.